Having problems paying your mortgage? Facing possible foreclosure? Get a free housing counselor by calling 1-877-894-HOME (4663)! If you are having problems paying your mortgage (or believe that you may in the future), or if you are behind on your payments and facing foreclosure, you need a housing counselor to assist you in reviewing the many, many programs currently available to assist homeowners. The Attorney General’s Office cannot represent individuals, but we do assist you by helping to fund homeowner relief projects that include housing counselors. We have contributed to programs that fund housing counselors and legal services. 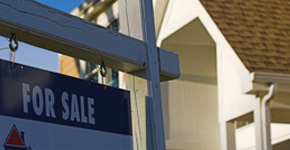 A certified housing counselor can assist you even if you are not currently facing foreclosure. The services are free of charge. An appointment with a housing counselor can be scheduled by calling 1-877-894-HOME (4663). Dealing with a mortgage or foreclosure issue is not a do-it-yourself endeavor. We strongly suggest that you do not try to go it alone. You need the assistance of a housing counselor.